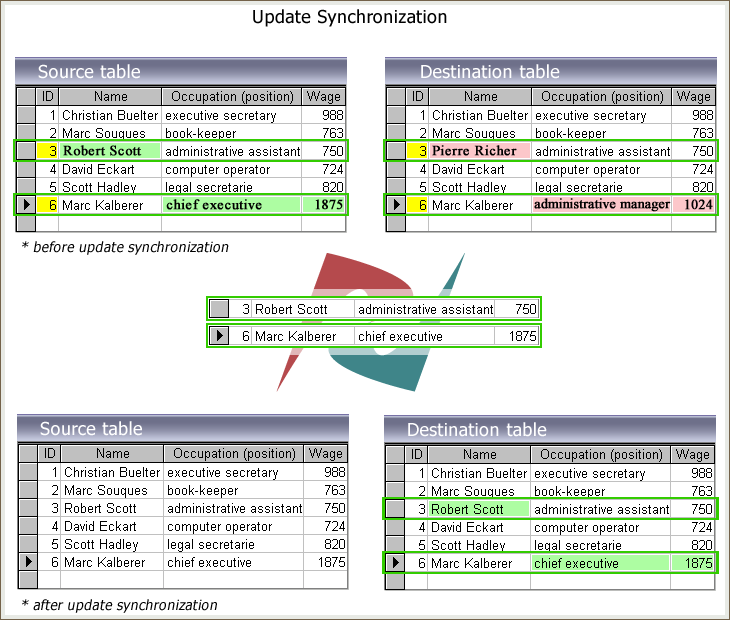 Our synchronization software is able to carry out Bi-Directional sync job as well. New records from Source table will be transferred to target automatically, in case there are no appropriate records in destination table with identical Primary Key values. As a result of DB Sync process absent records will be inserted into slave tables. 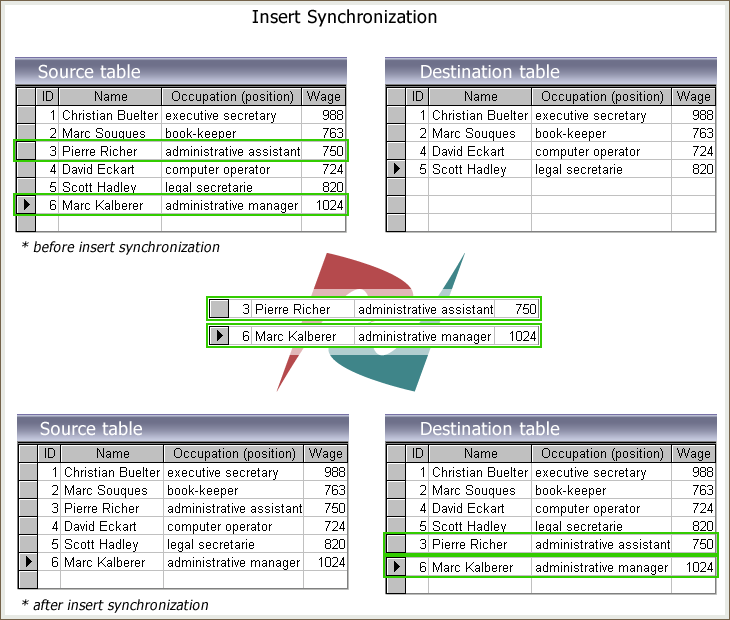 The following scheme illustrates insert synchronization process. 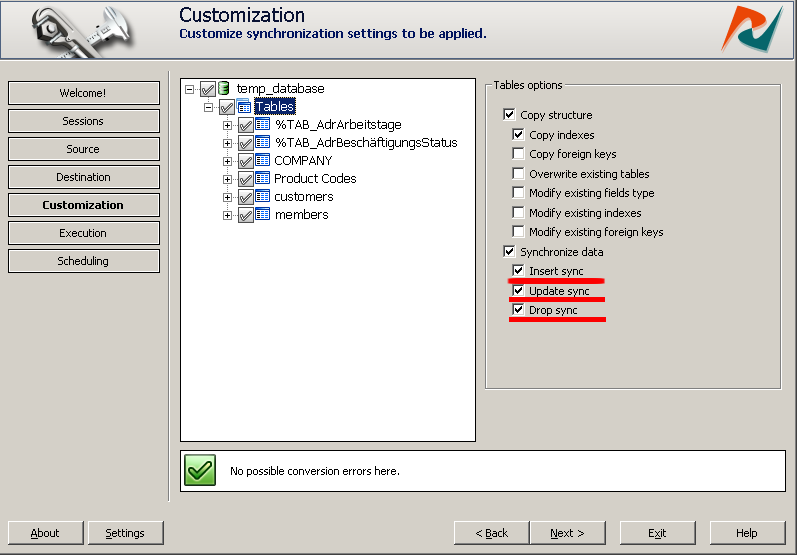 When changes in source database occur, appropriate changes in target db have to be performed. Synchronizer compares records’ values at first. Then altered records will be replaced at destination tables in order to establish identity between two tables. As a result of update synchronization all your data keep updated. Given below picture illustrates update sync process. If some records have been deleted from a source, corresponding records have to be deleted from destination as well. With checked Drop-sync option, these obsolete records will be removed from target if they do not exist in source. Drop sync process is shown schematically below. For example, you’ve made modifications in your source tables, added completely new records, and removed obsolete rows. In order to keep your databases in relevance you have to add, delete, and update these correspondent records in destination database. 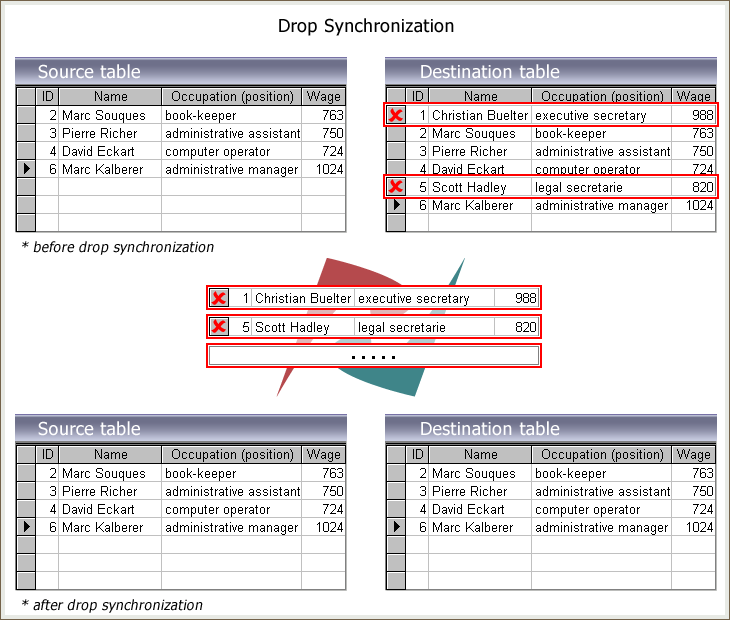 Insert Sync, Update Sync and Drop Sync options checked all together allow you getting entirely identical source and target databases. 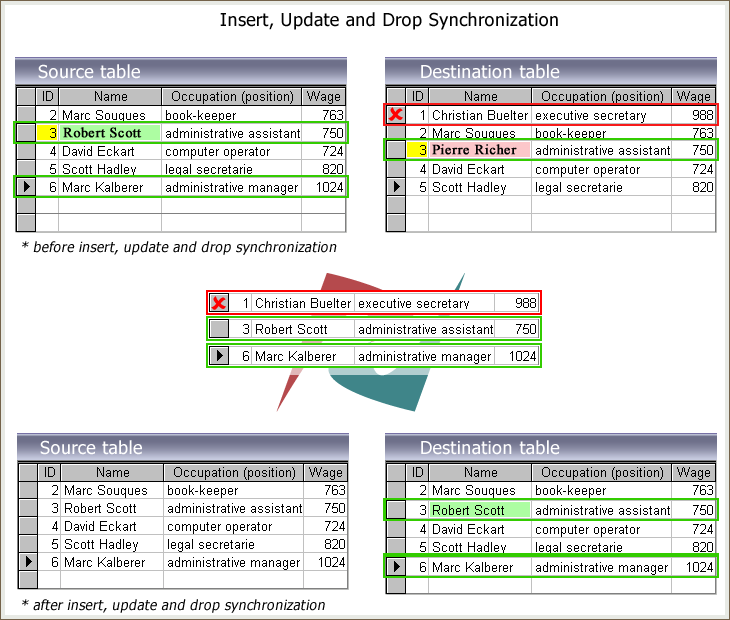 See a picture below which shows how Insert, Update and Drop sync options work together.